I like to do periodic reboots of my addled brain every so often to take a step away from purely military related books. I’ve done modern fiction and even bits of the classics to achieve it on previous occasions (you can read Milligan’s Puckoon in a day if you like) but this time around I elected for a slice of what I would catalogue as a travel adventure. The plus side is the close connection with military history seeping from the pages, thanks entirely to an author who is not just flesh and blood but who possesses a soul of the first rank. He is a remarkable man. 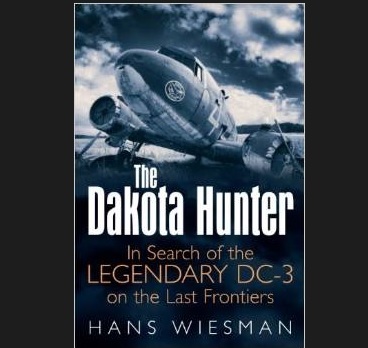 The Dakota Hunter is the saga of a true believer who travels the world in search of the Douglas DC-3. He seeks out wingtips of wrecks to make furniture and components to swap with museums so they can build aircraft while he makes desks. It’s clear that while he has a business to run he wants to put something back for the sake of balance because he really does care. Tales of flying old crates in far-flung corners of the globe are told with a worldly exuberance and humour. The author is Dutch and there is something of the innately laid back warmth you tend to receive in the Netherlands permeating throughout his book. This is a story as much about optimism as it is a straightforward travelogue. It is the kind of tale that would have been meat and drink to the Sunday supplements in times past or perhaps as an instalment of a dog-eared National Geographic magazine I would inevitably find at my dentist’s vying for space with glossy dross about buying executive homes in Essex. There is so much life here. The book is a virtual celebration of the ingenuity of all kinds of people practicality any place you might stick a pin in the atlas. I have to say it was the South American adventures that lifted me most with rustic flights in Curtis Commandos over Bolivia and even much more scary trips to Colombia to take in. There are sad tales of accidents and deaths to remind us what the frontier of aviation could be like in places where the enforcement of regulations we take for granted was weak. All the places we tend to associate with the last days of the Dak and its ilk are here and any romanticism we might take from it is always tinged with hard nosed reality. The majesty of these old birds is in abundance and it is clear to see how some of the greatest influences on the author have more than a dusting of Indiana Jones about them. The aircraft we see are all pretty special, but one really stands out for me. 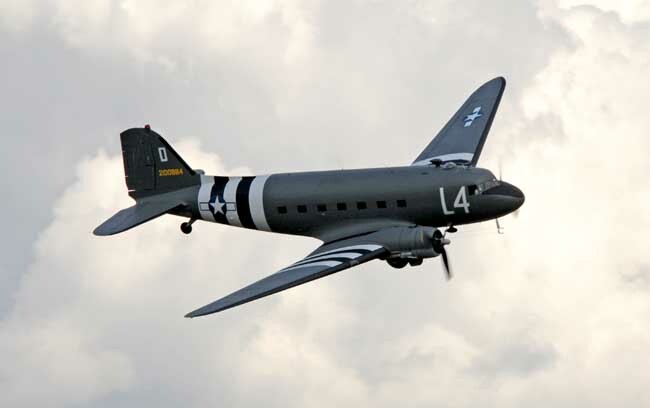 I have never seen a C-46 and while this is a Dakota fuelled saga, tales of the graceful thoroughbred hit the spot, and the photos of the beasts really made me smile. But there are so many other classic birds in this story; the book was like delving into my brother-in-law’s pile of old Propliner magazines he used to buy in the humble terminal at Southend airport before the coming of Stobart. This frail old girl was awaiting the Grim Reaper at Sidney, Vancouver Island, in 2009. Picture © Mark Barnes for War History Online. 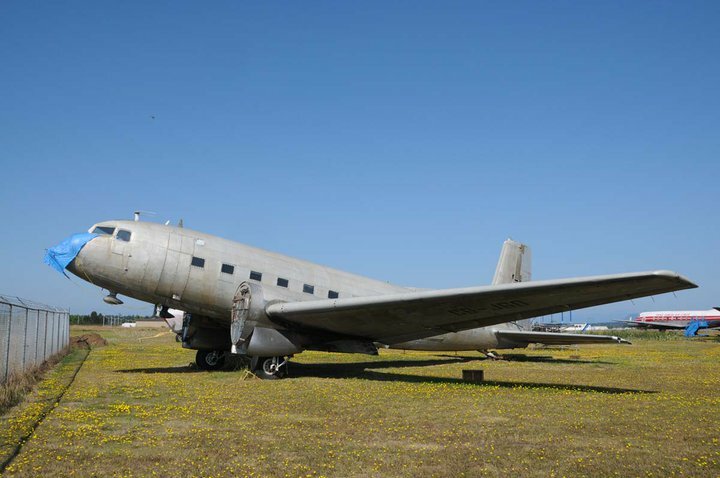 But the stars of our journey are the DC-3s and the author brought to mind the unloved colander on wheels fading away at Sidney, Vancouver Island; that my son James and I visited back in 2009. The old girl was due to be scrapped and I presume that happened some time ago. I think about the tatty old bird now and again because it was on the same trip we got to see a giant Martin Mars and the contrasts couldn’t be more stark. Only last summer I watched a Dakota put on an elegant display at a show in Essex and I was totally entranced by the grace and beauty on show. Only a pair of Lancasters flying together could trump it. A thing of beauty in the skies over Essex in the summer of 2014. Picture © Mark Barnes for War History Online. and all this stuff and more is included in the author’s story. His passion is beyond doubt and his knowledge and experience in the field of seeking out aircraft could well be unrivalled. His contacts book must be huge and I presume he has to get people in to help write all his Christmas cards for him. The book finds a fitting conclusion with our man Hans helping to save the DC-3 now on display at the Merville Battery in Normandy. He gets the chance to mix Dakotas with his passion for Harleys and you cannot help but come away with the idea that this is pretty cool. In fact, if I needed to find the briefest of reviews for this book, then “pretty cool” would do it. I suspect the author would be satisfied with that if he ever finds time to slow down. It’s a big if! A short film about Hans is available on YouTube made even more joyous by seeing him riding around in a Renault 4 taxi. Can it get any better?